To be honest, we aren’t big fans of May and June. It’s hot. As in super hot! And humid! This doesn’t just mean fewer travellers coming to India but also that our subtle travel expert brains work a little slower than usual. But it doesn’t mean that you can’t travel to India. In fact, it only means that the mountains are calling! And it’s not only the foothills and mountain ranges of the Himalayas that should get all the attention. From Mumbai in the north to the most southern tip of the subcontinent parallel to the western coast run the Western Ghats, a 1600km long mountain range listed as a UNESCO World Heritage Site. Covered with national parks, wildlife sanctuaries, forest reserves as well as charming hill stations. 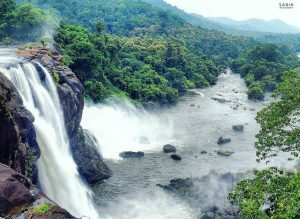 As soon as it starts raining in the Western Ghats the waterfalls and lakes fill with streaming water. 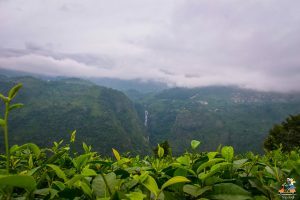 You can’t just find various wild and unique flora and fauna species in those hills but also endless fruit, tea and coffee plantations. And in May and June, they offer cooler temperatures and less stuffy air than in the cities and plains of India. As soon as the rains start by the beginning or middle of June, nature changes its color from brown-yellow to lush green within a couple of days. Waterfalls appear and rivers and lakes fill up. It’s a celebration of life! The cloudy sky and cooling rain bring a drop in the temperatures and fresher more breathable air. 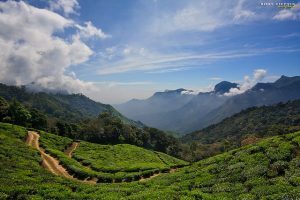 The most popular amongst the hill stations is Munnar which is reachable in 3 hours from Kochi and in 5 hours from Madurai. It’s more a region than a certain city or village worth visiting. In fact, the city of Munnar is a cluster of shops selling locally harvest products and cheap accommodations. Therefore, we rather suggest staying in the countryside amongst tea plantations, dense rain forest and high mountain views. There are numerous homestays and boutique hotels meeting every kind of traveller’s expectations and budget. One can take road trips up mountain roads through breathtaking landscapes. Visiting museums and strolling or hiking through the tea plantations and forests is a good option. The beautiful Eravikulam National Park is home to the endangered Nilgiri Thar and is located only 35km from the city centre of Munnar. Thekkady can be reached in 3.5h from Munnar. The drive there is an experience in itself as the roads are built in several serpentines running up and down the mountains. The mountains are covered in dense forest and more tea plants. 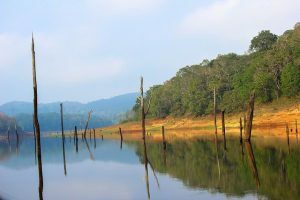 Thekkady is a region that accommodates the famous Periyar National Park. Spread across 777 km2, the wildlife sanctuary is home to tigers (there is no chance to see them though), as well as elephants, bisons and deers who often come to the artificial lake in the center of the evergreen park to drink. Your best chance to get a glimpse is to go on a bamboo boat ride or on a guided safari tour with tribal ranchers. The little village of Kummily is the closest to the entry of the park and offers many nice restaurants and accommodations. The region is also famous for spice plantations you can visit and learn more the local culinary and Ayurveda secrets. Wayanad is a region in the Western Ghats further north of Kerala. Owing to its bigger distance to the backwaters and beaches, it is worth visiting as it’s less crowded and touristy. 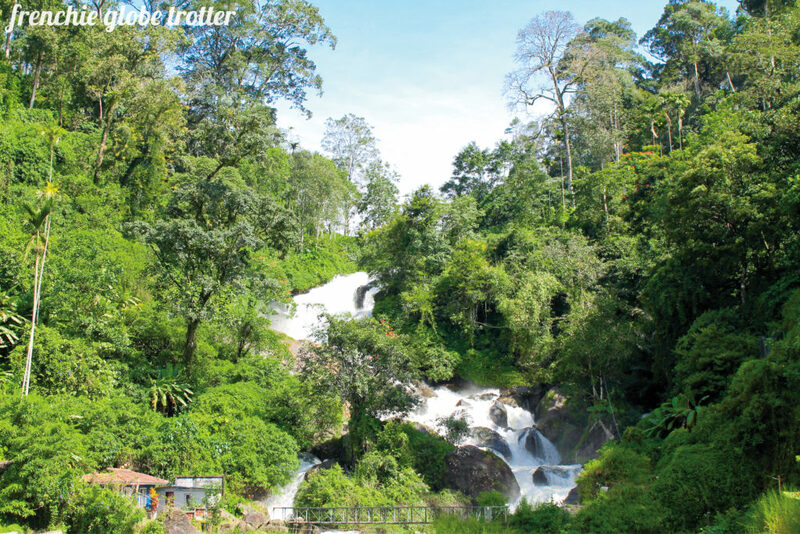 However, there is a lot to experience and see in Wayanad. The medium difficult hike up to the Edakkal Caves with its prehistoric wall painting dating 8000 years back is a great way to get an overview of the mesmerizing landscape of Wayanad. Or you climb up to the Chembra Peak with views all over the area with pleasant mountain climate to enjoy. Don’t miss out on the Banasura Sagar Dam in Kalpetta. It is the largest dam in India and is the 2nd largest in all of Asia. At Muthanga National Park you can experience exotic wildlife and nature on a half day safari. Kuruva Dweep is a group of unhabituated islands in the river delta of the Kabani River. Here, one can find an incomparable interesting flora and fauna. You can cross from river island to island on small bamboo rafts which make the visit very adventurous. 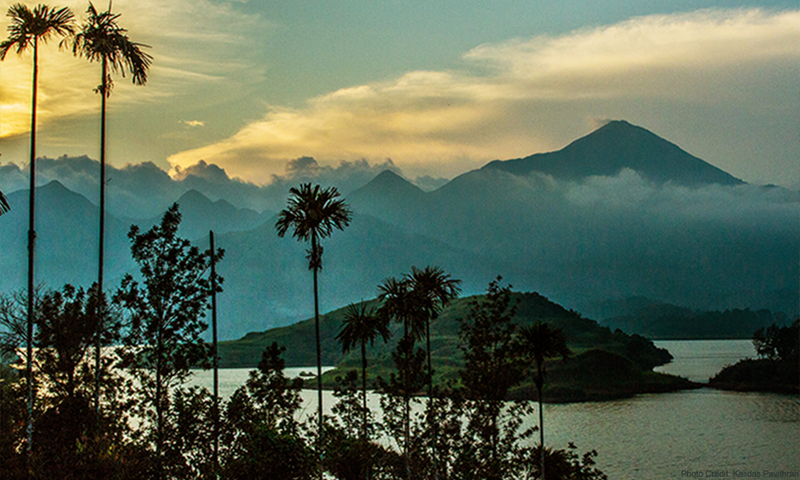 The beautiful landscapes of Wayanad. Other interesting hill stations are Ooty, Conoor and Kotagiri in Tamil Nadu, all within a 50km radius from each other. Ooty is called the queen of hill stations and was established by the British as a place of temperature relief. You can reach it on a memorable ride with a toy train. Conoor and Kotagiri are smaller but you can also hike and enjoy stunning views from the surroundings of these small villages but do avoid their bustling messy centers. Coorg is a hill station in Karnataka, 120km north of Wayanad, and famous for coffee and spice plantations. On the weekends domestic tourists from Bangalore flood into this countryside but on weekdays you can enjoy the beautiful nature almost by yourself. You can find some of the mentioned hill stations in our articles ‘Suggested travel routes for two weeks in south India’, ‘Budget backpacking tour of south India’ or ‘Four travel routes for Kerala’. We can also create a personalised travel route for you to include some or all of the mentioned regions so you can travel from one cool and naturally beautiful place to another. If you aren’t much of hiking or nature person and prefer luxury travels and relaxation, you could consider travelling to the beaches of Goa or Kerala as well as the Backwaters and stay for a bargain at 4 to 5 stars resorts. Many hotels, homestays and resorts close between April and October but the ones that remain open offer great deals in the hot and rainy season. However, be prepared that it can get extremely hot and many restaurants and bars will be closed.